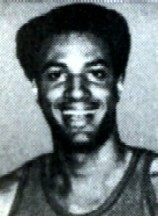 Drafted: Selected by the Philadelphia 76ers in the first round (12th pick overall) of 1971 NBA Draft. I went to Tulsa Edison HS...Go Eagles! One of only a hand full of No.1 Draft picks not to play one game in the NBA. I'm looking for Dana Lewis who attended Tulsa University with Steve Bracey, my now deceased husband and former Atlanta Hawk player. I'm looking for my father Ivan Lewis which Dana Lewis is his brother,anyone have any info on either one, please contact mr on facebook under Keasha Maynor ...Thank You.